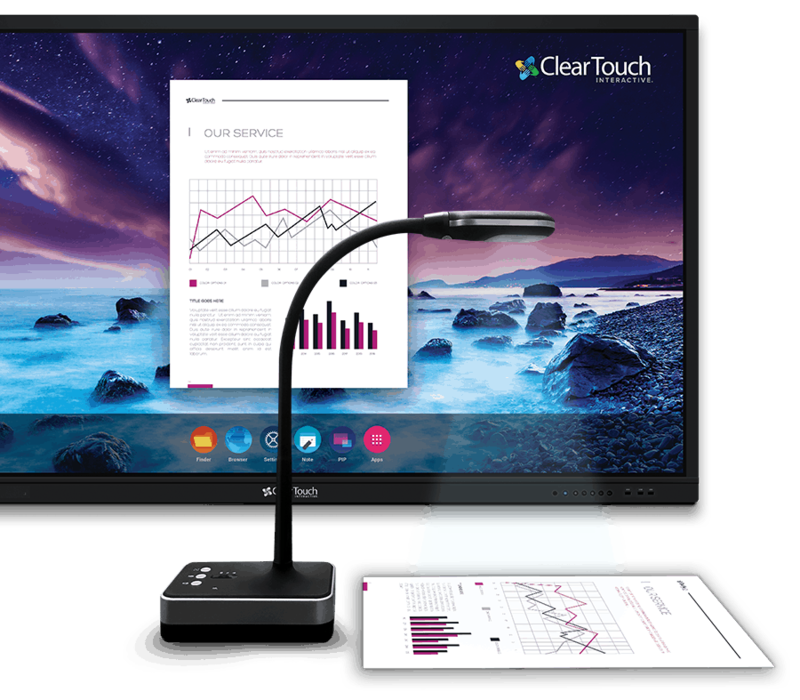 The Clear Touch® document camera extends the educational capabilities of Clear Touch panels, making it the perfect addition to your teaching toolbox. The camera’s built-in connectivity lets you connect to interactive panels or other classroom technology with just the touch of a button, eliminating unproductive downtime. Freedom to move around and interact with your audience while still controlling every detail of your presentation. Change slides, make notes, zoom in, zoom out, and highlight important information—all from up to 32 feet away. 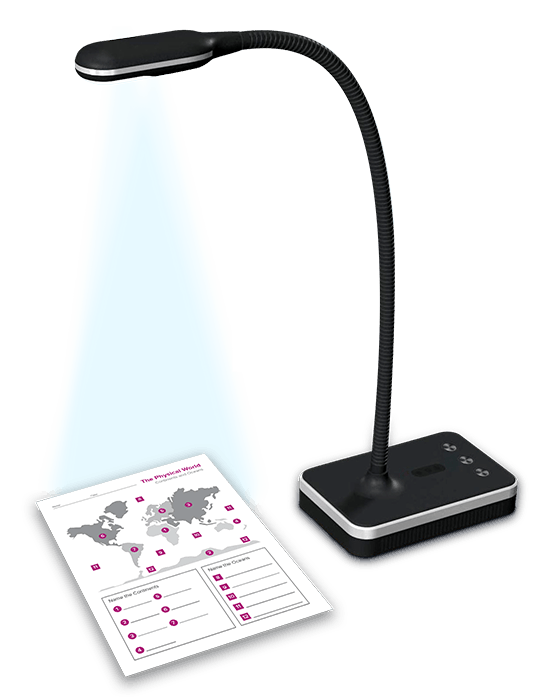 Bright LED lights and a multidimensional neck help you bring any presentation into clear focus. When you can share course material or visual aids with your entire class and avoid unnecessary disruptions, it makes it easier to present complex material with incredible clarity. Wireless capabilities and accessible ports enable flexible placement around the room, and a built-in microphone ensures clear audio capture so you can stream and record demonstrations as needed. The ability to write, type, zoom, and rotate your material on the screen allows you to customize your presentation. The document camera includes Clear Touch Canvas™ for Windows. This powerful software enables you to open all media types directly on your Clear Touch® panels, which means you can easily integrate your document camera presentations directly into your lesson plans.